Finally worked out how to add video to the postings. This is the first test video for the animated background. Next step is to change the camera (to one that will record larger files) then see if I can improve the quality of the stop motion. 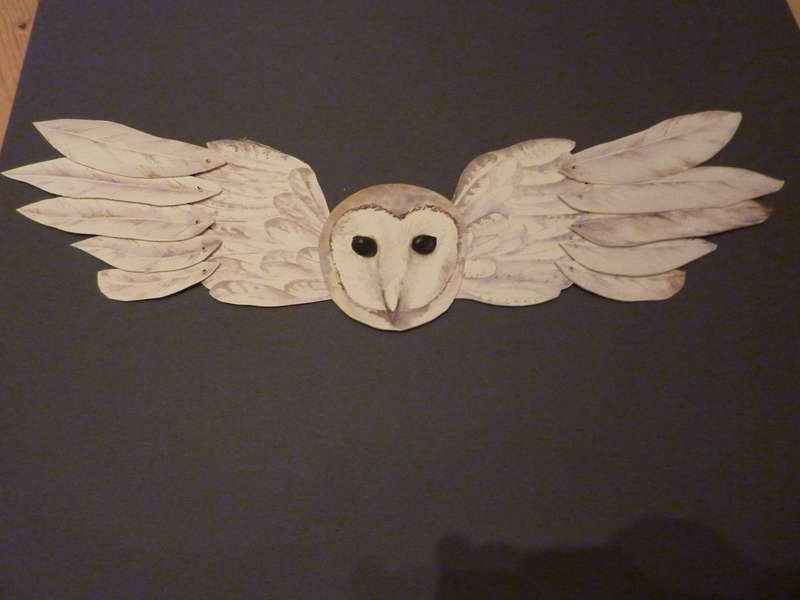 Bloduedd, in her owl guise, is now more or less finished. There is scope for limited animation; to be more flexible she will need to have several heads created. 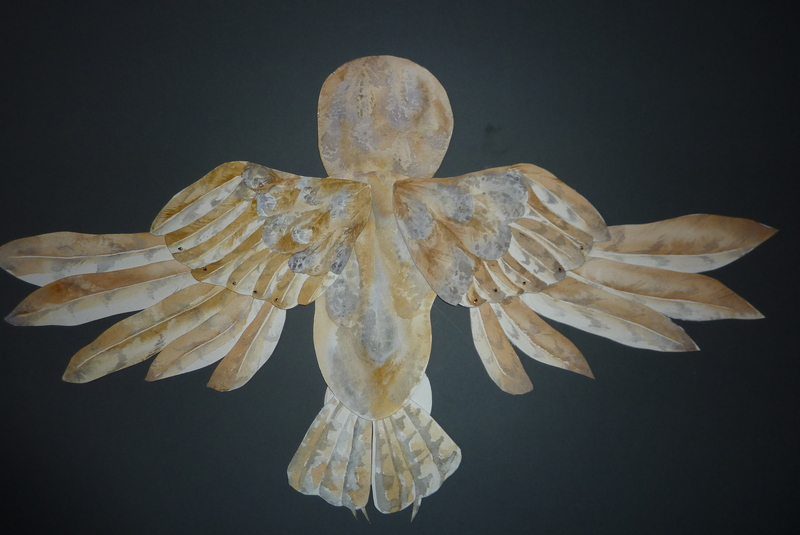 Although I do like the idea of the turning face offered up by the owl and have wondered if there is a way to do it. There is also scope for green screening once the lighting is corrected. To be successful (bearing in mind the limitations of the software I have available) the background needs to be flat, matte and without shadow of shading. 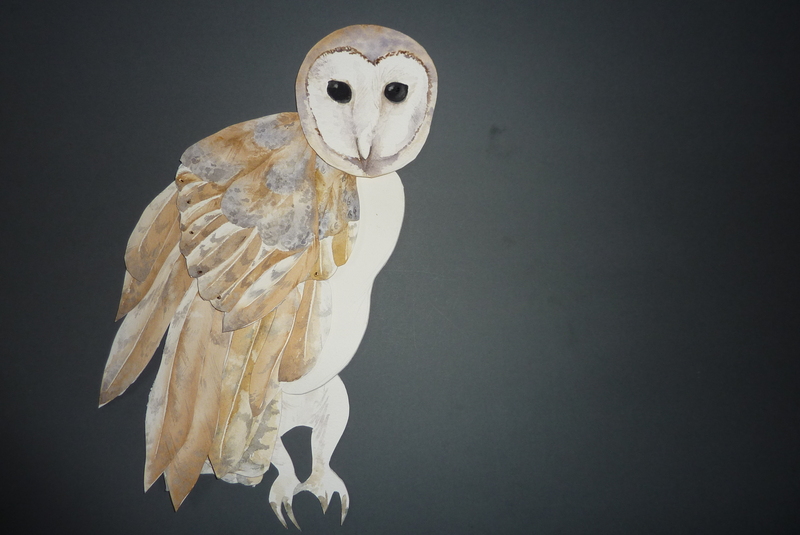 I would prefer to animate the owl herself on a monochrome background so that I have more control over the movements. Then I can work on the growth of Bloduedd from flower- to woman – to owl under the watchful gaze of Bloduedd as owl. You’re rocking and rolling here! Lovely, downy looking owl. I did quite a lot of animation tests with the skeletal horse I made for The Mare’s Tale. The one that I worked hardest on but liked least, was an attempt to nail down the ‘real’ locomotion of a horse. It ended up looking like a CGI render of a horse-in-motion-x-ray. Quite impressive, but also dull. The best work came when I allowed myself to get really creative with the movement, so that it was less like a horse galloping, and more like some deep-sea crustacean thrashing about in a weightless atmosphere. I mention this because you’re going to be animating a supernatural event… the transformation of a woman into a bird… and when I think about quite how strange that is as a notion, and how awkward, painful and traumatic it would be, I can see that the animation potential is thrilling. I suggest you push your puppets as far as they can go, no matter how odd and unnatural that may seem at the start. Good luck. All this is very exciting. Thank you for the much needed encouragement. I am playing around with a suite of programs from Serif. They are perfect for the amateur but need a lot of playing around with to get the best effect. What I really like about this is how we are jerry building to achieve the results. Cardboard box light boxes, a range cameras rigged up between tables and tripods, lighting (amazing what you can do with an anglepoise) complete with bacofoil reflectors. There is a real satisfaction with hitting a problem and then finding a way to overcome it. Thanks for letting me take part in this as I am enjoying every minute. What has been truly inspiring is the range of retellings there are for Bloduedd’s story. Not least several tours up coming in Wales. I wish we were nearer as each of them looks worth investigating. love your owl and the concept behind her! ah here you are. I am always moved and inspired by your varied creativities! Thank you lovely lady. As am I by your wonderful window on the world. Not completely ready to jump ship yet. But seriously considering WordPress as home; it is very versatile. Peter Slight has requested an e-mail address for you, so that he can send any Puppet Challenge notifications directly to you. Please forward to me and I’ll pass on. Lovely piece! Thanks for another great post.